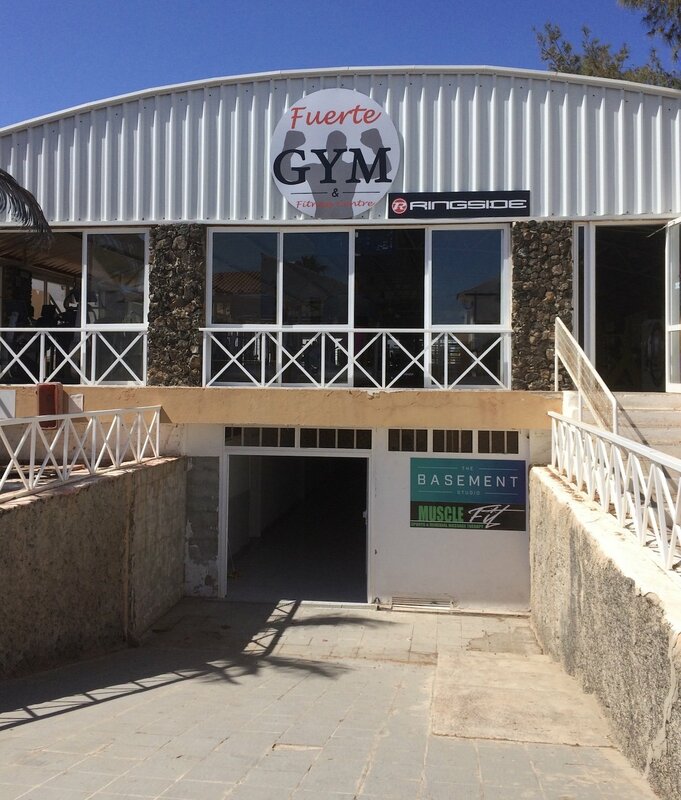 Two of boxing’s best-kept secrets are Adam Bailey and his Fuerte Gym on Fuerteventura in the Canary Islands. 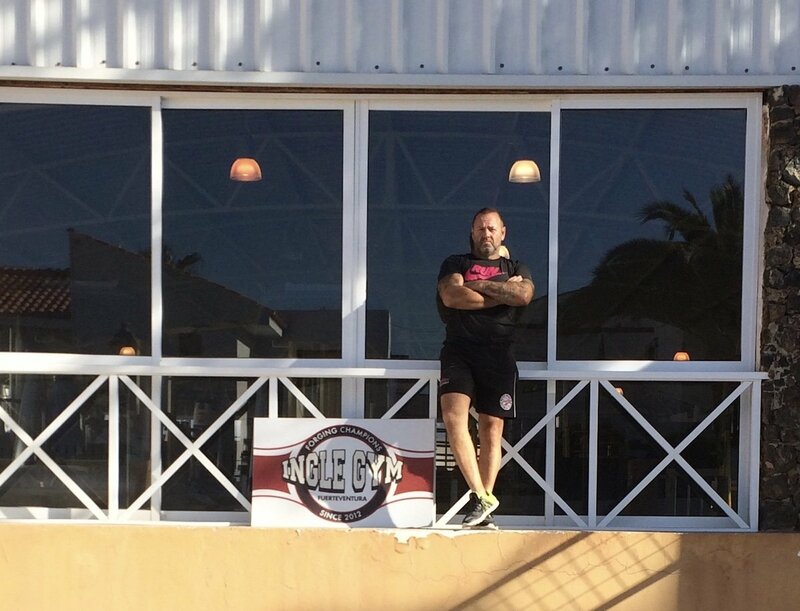 The preferred warm weather training base of Ingle Gym fighters Kell Brook, Billy Joe Saunders and Kid Galahad (Barry Awad), the Fuerte Gym is a truly outstanding facility, located in the heart of the resort town of Caleta de Fuste a mere five minutes from the beach. 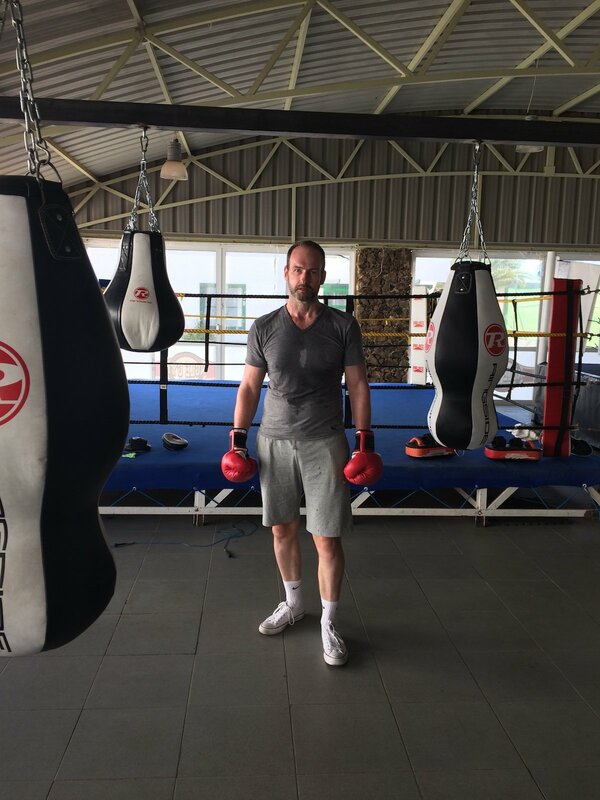 In fact given the facilities and location, it is no surprise that in addition to the aforementioned fighters, the likes of Jamie Cox, Lee Selby, the GB Olympic squad, and too many others to mention have enjoyed training stints out here. The gym boasts two rings, one championship size, an abundance of heavy bags, plenty of floor space for circuits, skipping, etc., along with a fully equipped array of weights, Olympic bars, machines for resistance training, treadmills and other cardio equipment. It also boasts a large studio and sports clinic downstairs, thus providing a full spectrum boxing and fitness experience. The benefits fighters gain in basing their camps out here are self-evident, what with year round heat and sun, and what with the fact that Caleta, though a resort town, is the preferred destination not of youngsters looking to party day and night, but of couples, families, and in the main older people seeking a quieter time while on holiday. The location also offers great runs in the mountains located further inland from the coast, which loom up over the town as if challenging you to try them. Yet, facilities and location aside, the Fuerte Gym would not enjoy the reputation it is rapidly gaining within the sport if not for its owner and manager, Adam Bailey. Originally from London, Bailey arrived in Fuerteventura in 2005 on holiday and never left, embracing the change of pace and the opportunity to start anew, after a period of personal and professional turbulence. Boxing back then was a serious hobby, nothing more; something he’d enjoyed in his younger years and kept up to stay in shape and keep sharp. Not in his wildest dreams did he foresee a future in the Canaries as a gym owner and manager. I first met Adam while on holiday in Fuerteventura around ten years ago. I came across him in the original Fuerte Gym, a much smaller and more basic facility in another part of Caleta. Adam didn’t run this place, merely trained a few local fighters there. I recall, back then, him taking me on the pads for a few rounds prior to sparring. I think it was the closest I ever came to experiencing decapitation since making the mistake of sparring a bear of a Russian at Wildcard a few years before that. But that’s another story. Adam’s technical knowledge of the science of boxing is unsurpassed in my experience, which includes, as mentioned, a stint out in LA at Wildcard – where I used to workout regularly when I lived in Hollywood. You will be hard pushed to find a trainer as rigorous when it comes to focusing on a fighter’s technical and biomechanical foundations, upon which everything else depends. For Adam it is not enough to simply teach a fighter how to through a certain punch or combination. For him it is essential a fighter understands why it is necessary to throw his shots a certain way. This he does by studiously breaking down a given punch and/or combination into its component parts; much like a mechanic stripping down the engine of a car before putting it back together again. The word is ‘deconstruction’, a method of teaching that while painstaking and laborious in its attention to every small detail that goes into a given construction – whether of a building, machine, or even a work or art – is absolutely necessary when it comes to imparting knowledge. Everything from the placement of the feet, hips, and shoulders is analysed and broken down, to the point where even pros will find themselves, under Bailey’s tutelage, in danger of being left feeling like novices, forced to address the biomechanics that go into generating maximum power and speed in the most efficient way. During my most recent trip over to Fuerteventura, after a workout I sat down with Adam for a coffee and a catch-up. JW: Adam, I have to say, your method of training is probably the most exacting I’ve encountered in my time. Breaking things down as you do really forces you to concentrate. How did you come to develop this method? AB: It’s my personality. I’m one of those pain-in-the-arses you come across that’s never satisfied with being told how things are. I need to know why. It got me a few clips round the ear growing up, I can tell you (laughs). Used to piss off my old man, no end. JW: And now you’ve brought this trait to boxing? AB: Yes, but it’s crucial. Velocity x mass = force. It’s an iron law of physics which translates to the ring. A fighter’s power is a product of generating the maximum amount of velocity behind the maximum amount of mass. This is why the placement of the feet and hips – the alignment of your body with your opponent’s – is key. Everything starts with the feet. If you’re feet aren’t right it throws everything else off. JW: Where did you come by this stuff? Were you taught this stuff as a kid in gyms in London? AB: Most amateur coaches, even the decent coaches – and I mean no disrespect – either don’t have sufficient knowledge to teach kids properly, or they’re just too busy to strip things down the way it needs to be. They’ve got too many kids to deal at any given time with and so can’t. I only ever take a maximum of four in the ring at the same time. More than that and you can’t watch them all closely enough to correct mistakes. I learned this stuff, as I said, through my obsession with knowing why things are done a certain way. Boxing is a prisoner of convention in many ways. I wasn’t satisfied with what I was being taught, the fact my coaches couldn’t answer the question why, so I set out to re-learn the basics myself. I worked on construction sites after leaving school and was fascinated by the way a pneumatic drill works. It’s the same concept when you throw a punch: short sharp snapping movements over and over. It’s the most efficient way of breaking someone down. JW: I’m also intrigued by your views on how the feet should move through the punch. I was always taught to focus on pivoting and lifting the hell off the floor when punching, but you disagree with that. Why? AB: Think about a Formula One racing car. How does it generate its speed? Here there’s a pause as I struggle to come up with the answer. AB: It’s generated by the car’s down force. By forcing its weight down onto the tarmac it generates kinetic energy and minimises wind resistance. So translating this principle to the ring, if you lift your foot off the floor while you’re throwing a shot you actually remove your power. Instead you should press your foot down against the canvas. This then transfers the kinetic energy generated from the floor through your body into the shot. This is where our discussion came to an end. Adam had a gym to run and I was in desperate need of some food and nourishment after training. That said, we only touched on the breadth of knowledge Adam possesses and which I was privileged to glean from him during my time out here. 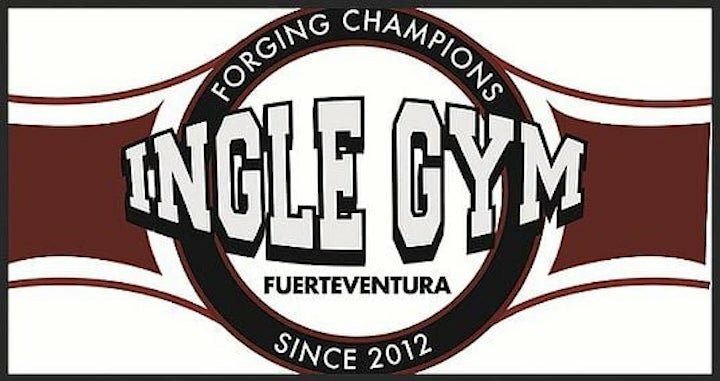 The good news is that despite being the preferred training base of world champions like Kell Brook and Billy Joe Saunders, the Fuerte Gym is open to the public and Adam is the most approachable guy you could hope to meet. Do yourself a favour and take a look. You won’t regret it.